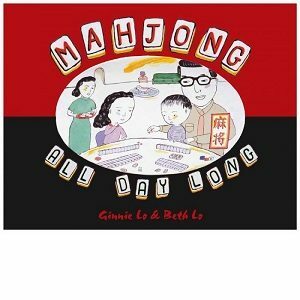 Mahj Mania: A Mah Jongg Game that will drive you wild. 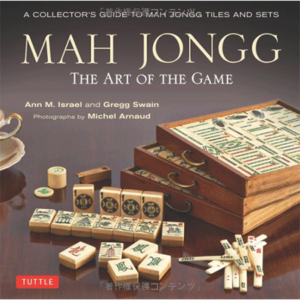 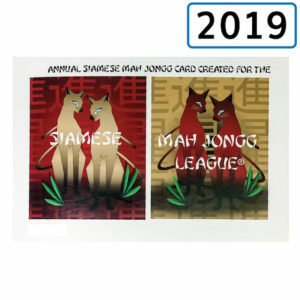 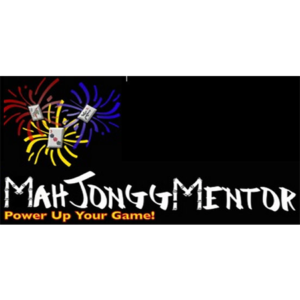 Beloved Mah Jongg artist John Davis has created an exciting new Mah Jongg game called Mahj Mania. 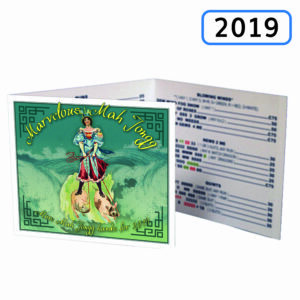 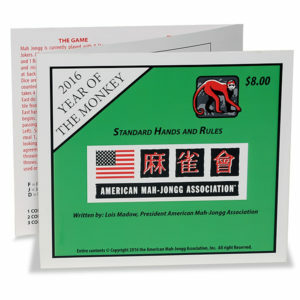 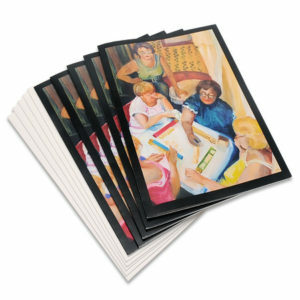 These cards add a new twist on traditional American Mah Jongg. 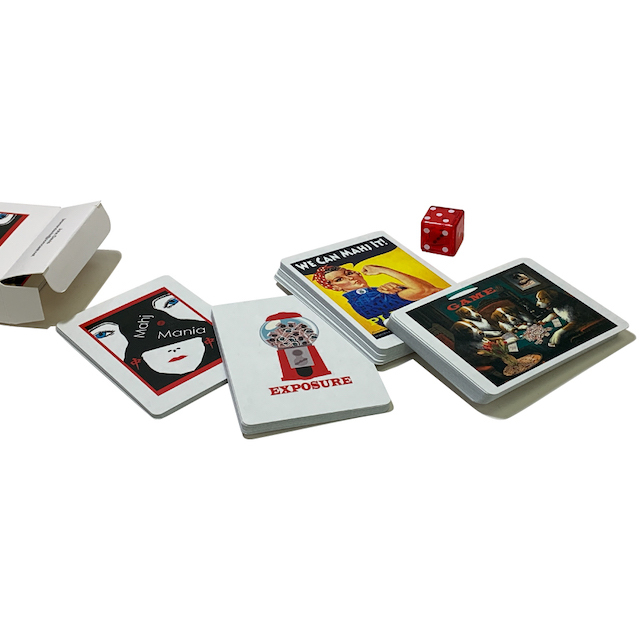 The game consists of 4 decks of cards players may use on their turn to temporarily change the rules, block opponents’ moves, or even switch hands. 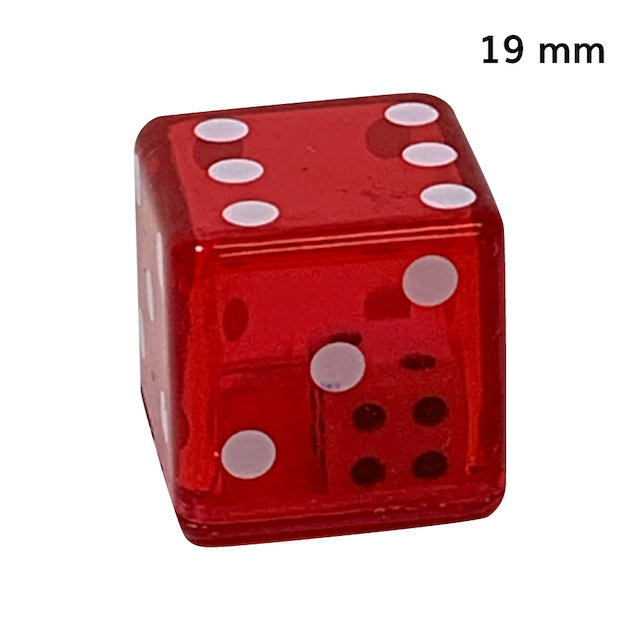 19 mm Double Die (A large clear die with a smaller die inside). Colors vary. 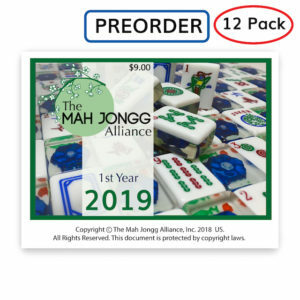 All in a soft pouch hold your new game.